The hazelnut is a shell fruit. It´s the fruit of the hazelnut tree and the harvest is beginning in the middle of august. The main exportnations are Turkey, Italy, Spain, France and USA. The share of Turkey is about 80 %. The main area in which the hazelnuts are growing in Turkey is the black sea coast. 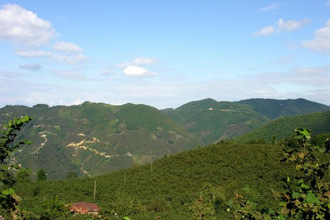 The name of the area is often the name of the hazelnut variety for example Ordu, Giresun, Akcakoca or Tarragona (Spain). The main part of the crop is used by the Sweets- and Bakery industry. A hazelnut has a hard and wooden shell. The hazelnutkernel is covered with a brown skin and contains a high percentage of healthy oil. The fat content is about 61 %, with a high share of unsaturated free fatty acids. Carbohydrates are about 11 %, proteins are about 14 %. Furthermore there is a high share of calcium and vitamin E, B1 and B2. Besides the raw hazelnuts, we have also blanched (no skin) and other different kinds of preparations.